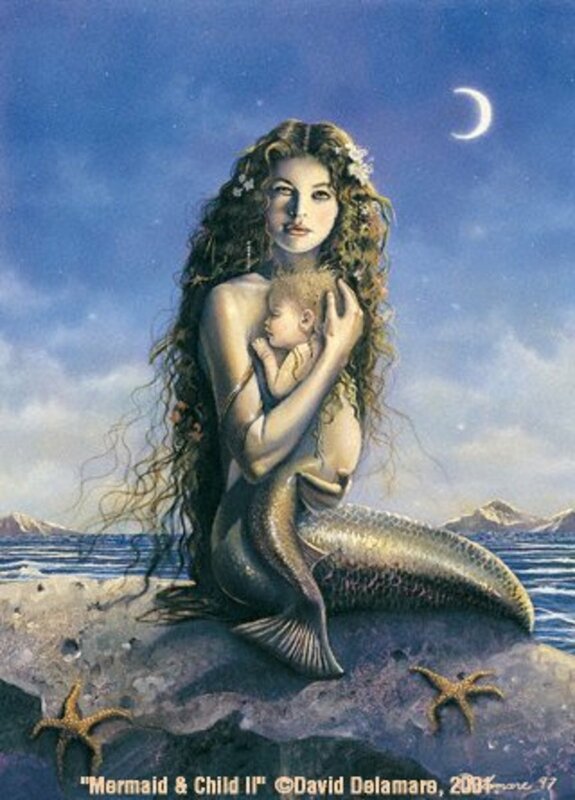 Were mermaids simply women with monofins? Are Mermaid Tails, Ancient Flippers And Monofins? It probably started off as a fun event where competitors attached artificial fish tails to their feet, but the power and speed produced by these monofins was so impressive, it became a regular event, and was adopted by other swimming clubs. 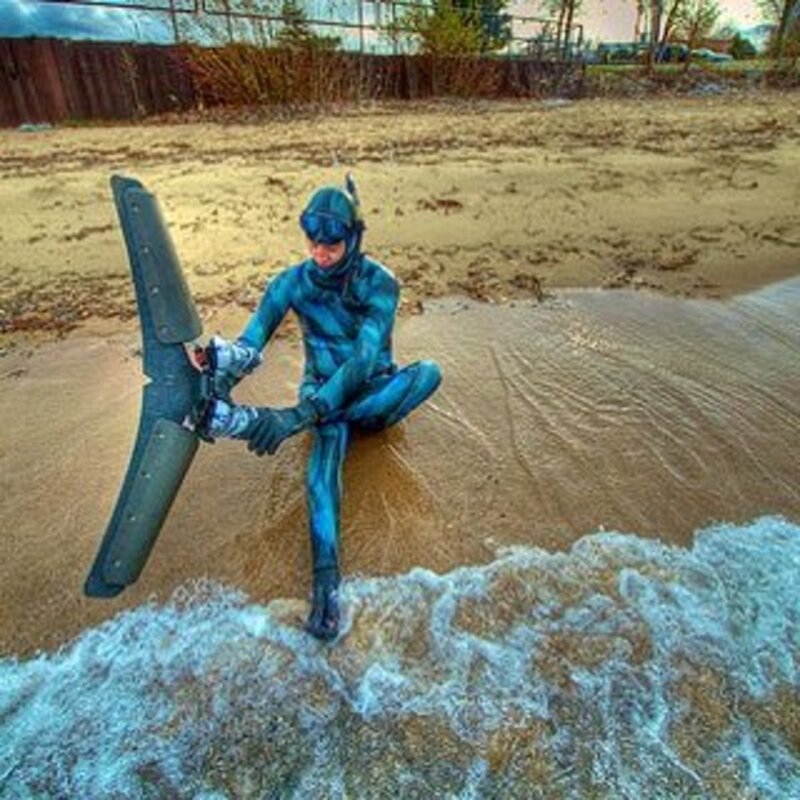 They quickly encountered a problem, because the sheer power of the monofin created such a large bow-wave in the swimmer’s face that they couldn’t breathe. To get around this, they had to use a snorkel to breathe in air, which means the monofin is better suited to swimming underwater. 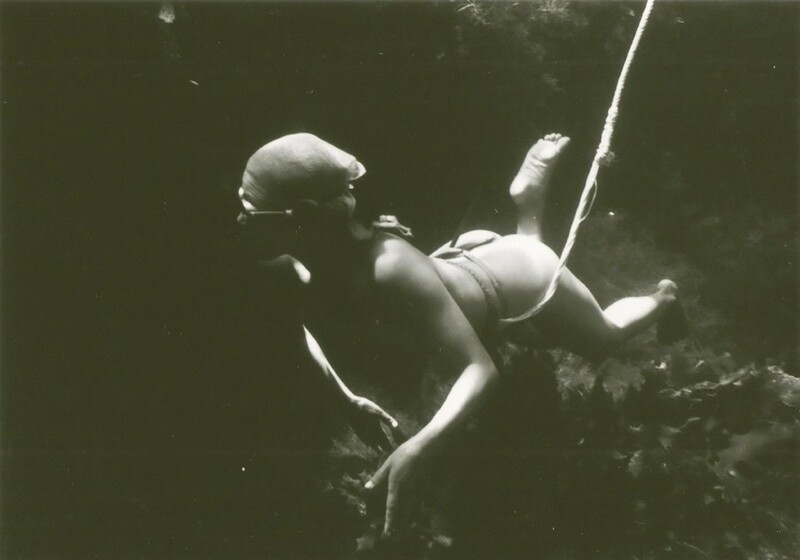 Ama Diver with a rope around her waist. 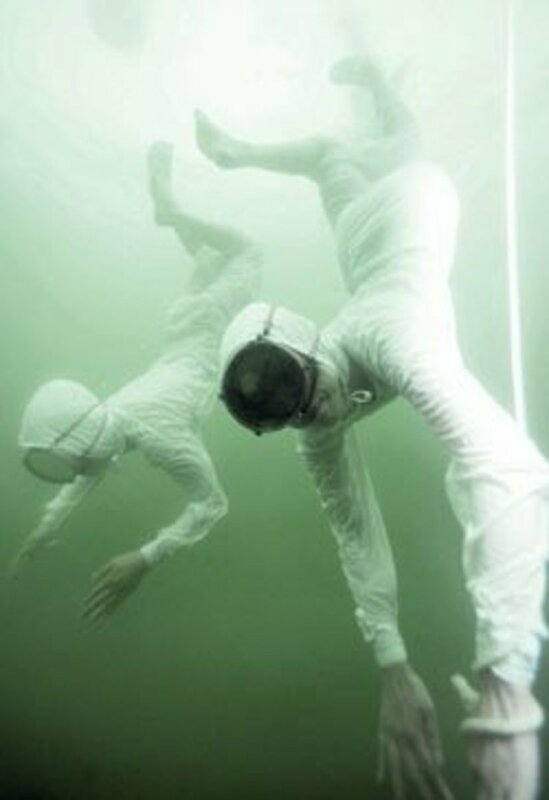 Breath-holding divers in deep water cannot carry anything but the lightest load from the sea floor to the surface. 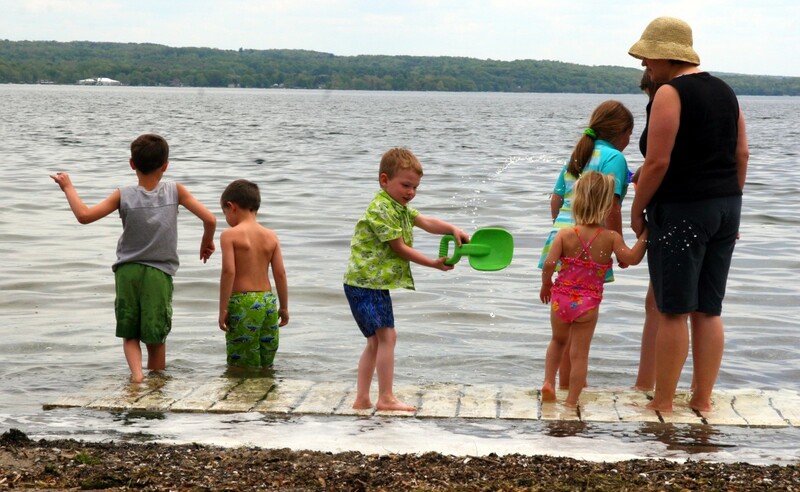 The official history of swimming aids is that the first person to propose flippers or swimming fins was Leonardo Da Vinci, followed by Giovanni Alphonso Borelli in the 17th century. But the man credited with making and using them was the inventor and politician Benjamin Franklin. So could mermaids have used swimming aids like monofins and flippers in the past? It’s possible since we know that the Polynesians once had flippers which they made out of palm leaves. 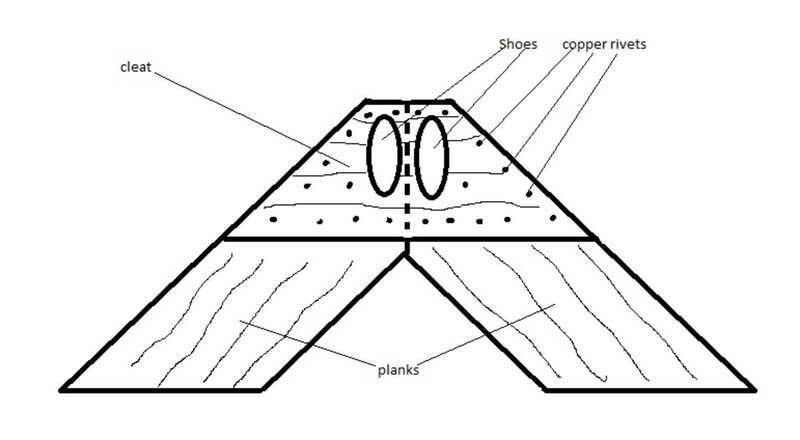 In the 20th century various inventors began making flippers or swim fins out of vulcanized rubber. One of these inventors was the American Owen Churchill. People in the past must have realized that one of the reasons why fish and dolphins are so fast in the water, is because of their tails. So someone could have tried to make an artificial fish tail. Perhaps at first, like Benjamin Franklin’s flippers, they were not very effective, but over time they would evolve and the design would improve. Some modern monofins resemble an aeroplane wing. 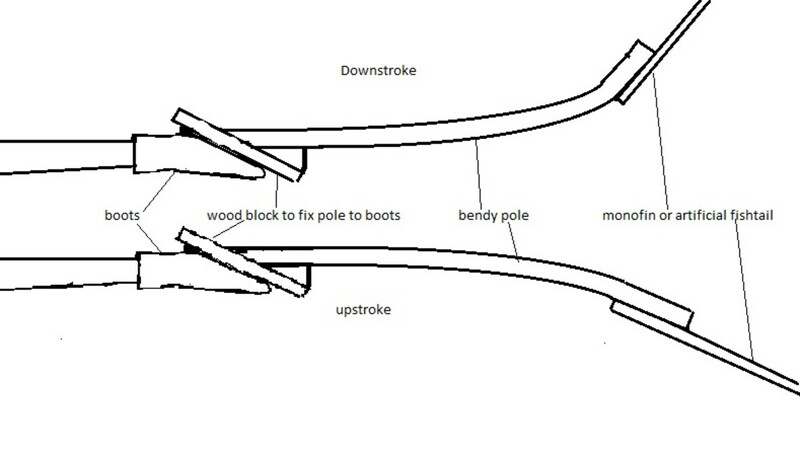 This is a very simple design, and means a monofin could be made from a plank of wood. Unfortunately there are no stories, of mermaids with planks of wood attached to their feet! 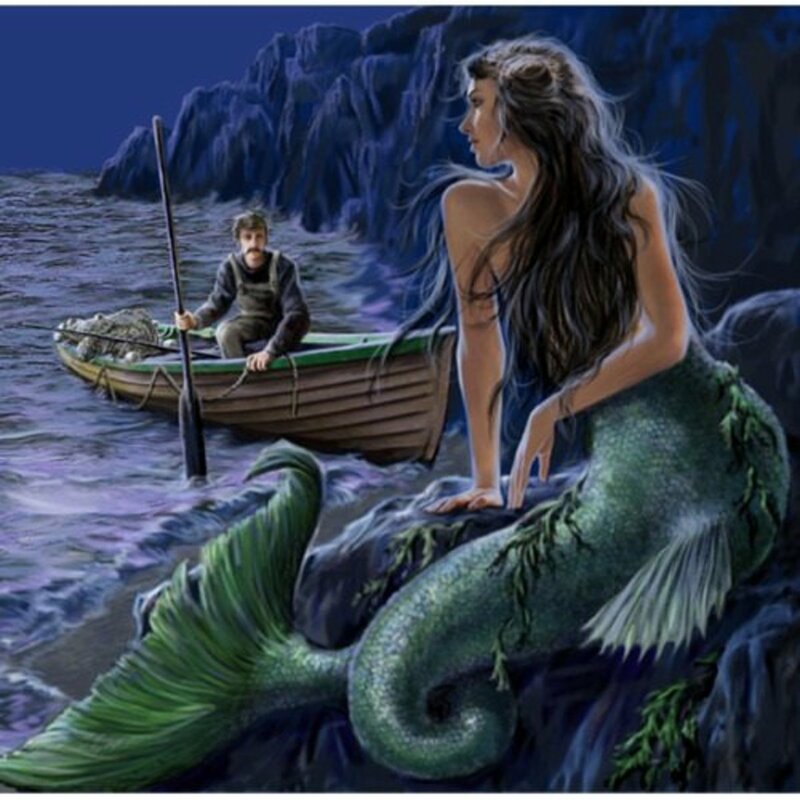 It’s conceivable that sailors and fishermen seeing mermaids with monofins and flippers on their feet would report them as women with a fish tail or two fish tails. They might be perfectly aware that these tails are artificial, but they wouldn't have words like monofin, flippers or swimfins, to describe them and people, who never saw them, would take them at their word and think they are women with actual fish tails. When artists are told to draw them, they would draw, paint or sculpt them as women with a fish tail, or two fish tails, as well. 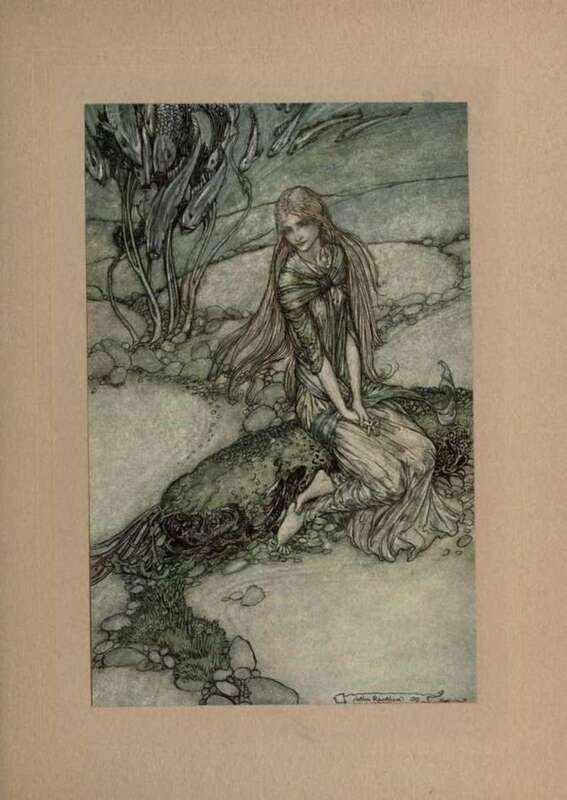 There are other stories from the past where mermaids are described as having a serpent’s tail or a very long fish tail. This can also be explained by flippers and monofins. 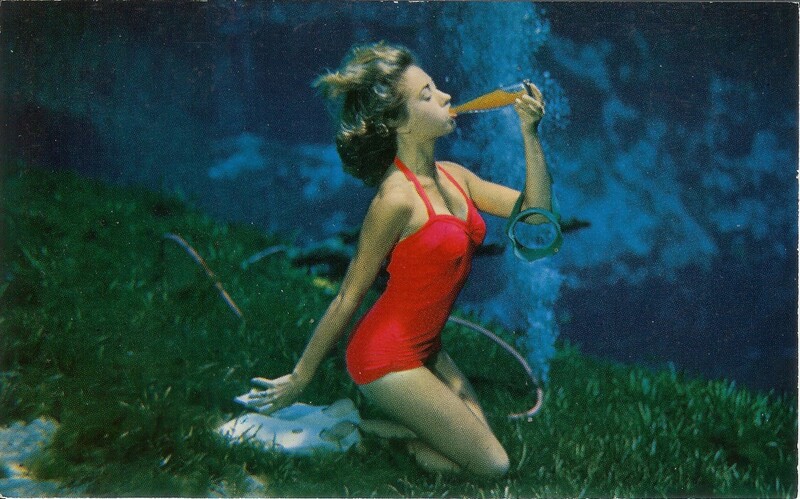 The original rubber flippers of the 1930s were short and stubby but now they have evolved to be very long and flexible. It seems that freedivers prefer these very long flippers. The same could have been true in the past. 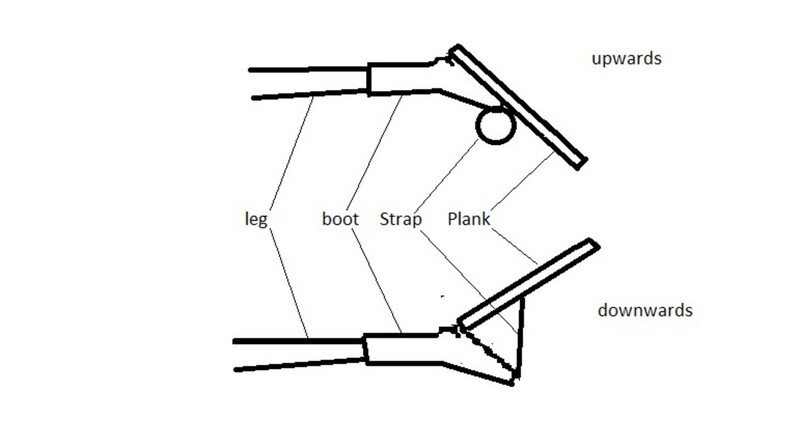 Over time, people may have realized that long flexible flippers were more efficient that short ones. 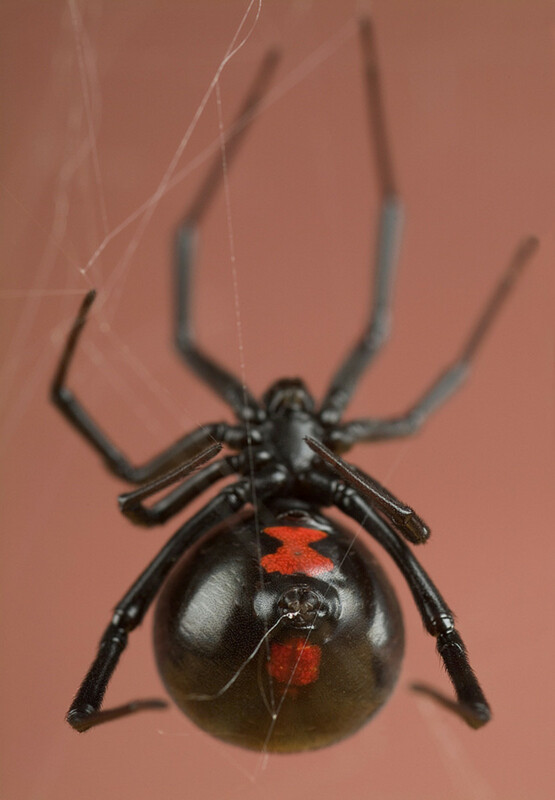 As previously mentioned wood can be made very flexible if it’s thin enough and the degree of flexibility can be controlled by the thinness of the wood. 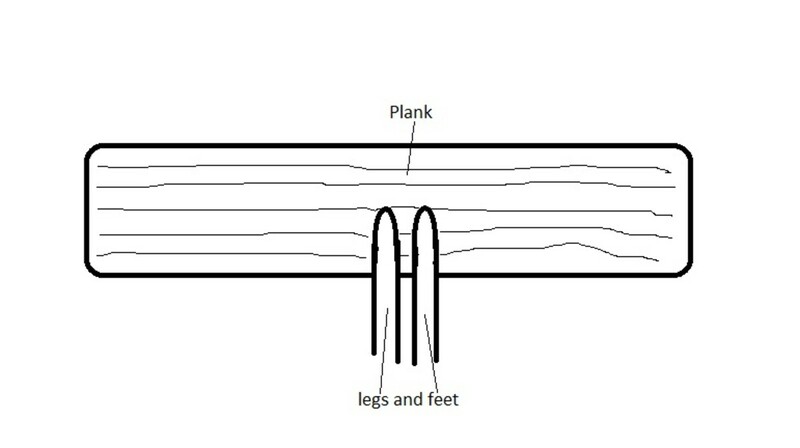 Long, wooden flippers could have been constructed. Any sailor seeing these very long flippers would describe them as looking like a serpent’s tail or tails, and land people would again interpreted this as being an actual serpent’s tail. 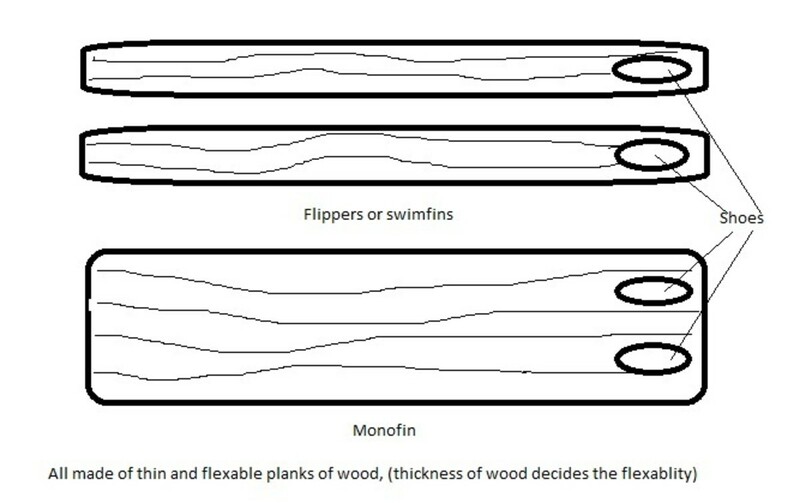 Monofins could have also been made to be long and thin, because if this design is efficient for flippers it might also be true for them. 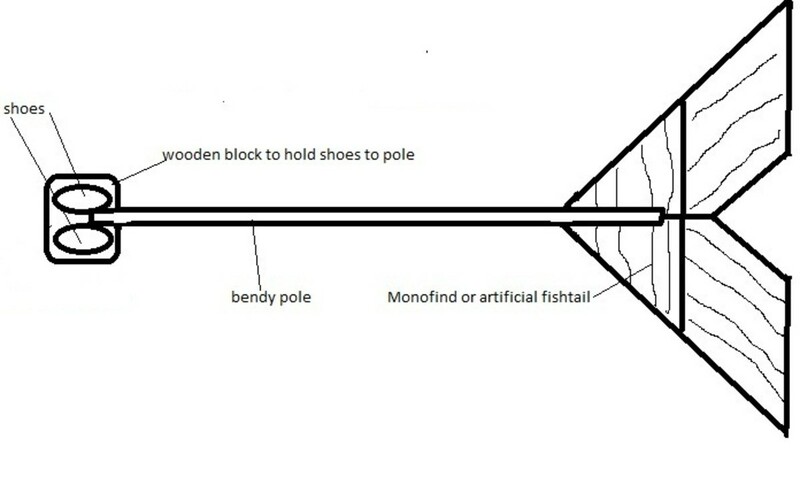 Another possibility is that people in the past may have realise that a monofin could have more power and leverage if put on the end of a flexible pole, making the tail look a lot longer and giving it the whip action you see when dolphins flick their tails. My Blog/Book about my mermaid theory has now over a million hits! 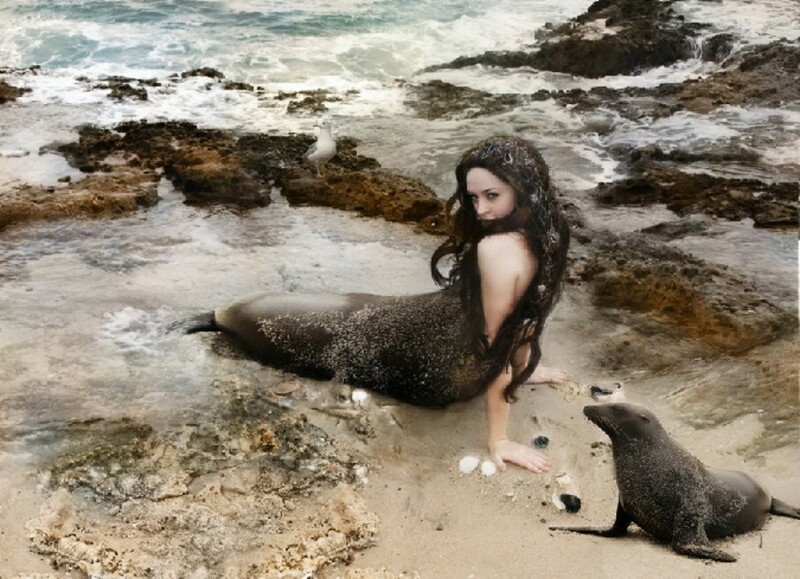 In Northern Scotland, the Orkney Islands and the Shetland islands there are myths about the Seal people or Selkie, who are, seals when they are in the water and human being when they come on land. 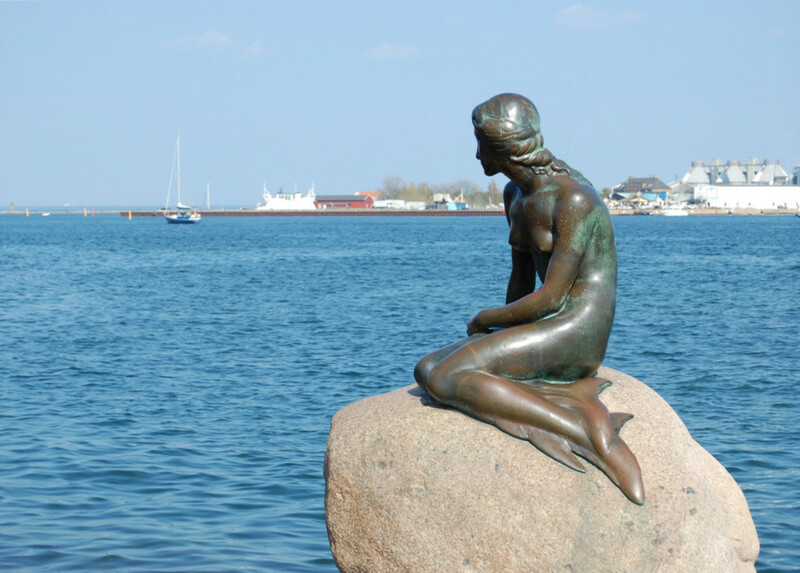 In other myths they say that mermaids put on animal skins when they go in the water. Maybe it’s not a magical story after all. It could just mermaids who are wearing seal skins, perhaps like the modern wet-suits, we see on modern Haenyo divers. Another possibility reflects a modern-day practice, where women encase their legs in a bag, tie it at the waist and have a monofin at the bottom of the bag. This make them look like a classical mermaid. 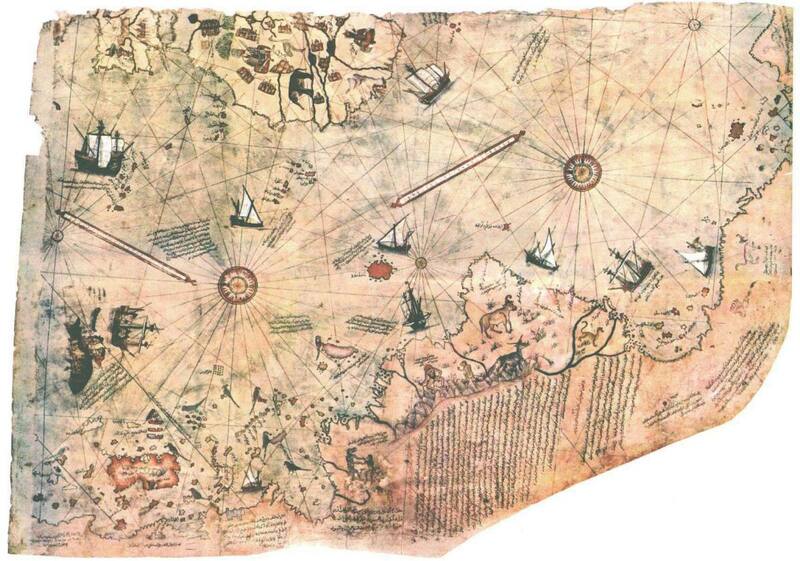 Mermaids in the past, may have done the same with seal skins. They could cut off the head of a seal, remove all the fresh and bone without damaging the skin and use the seal skin as a primitive wet-suit. It is doubtful if the seal’s feet could be used as a monofin, but perhaps a wooden one could be attached to them. People seeing this costume would easily believe they are seeing a woman who is half woman and half seal.